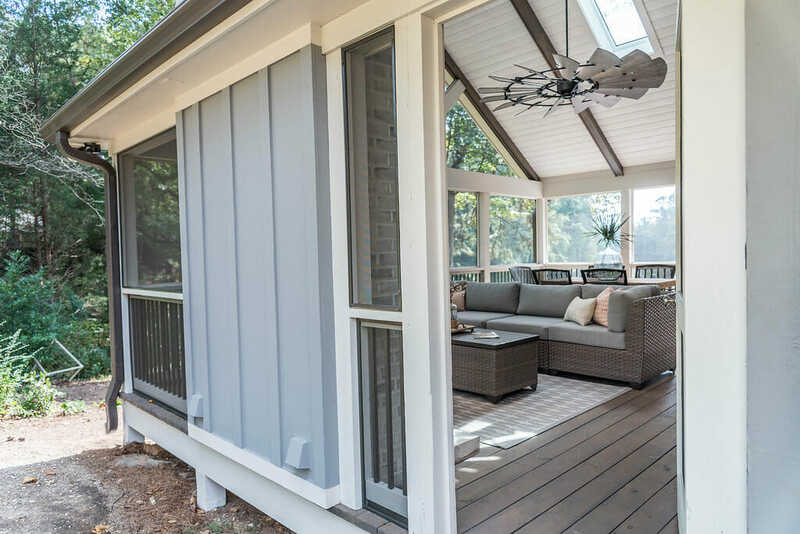 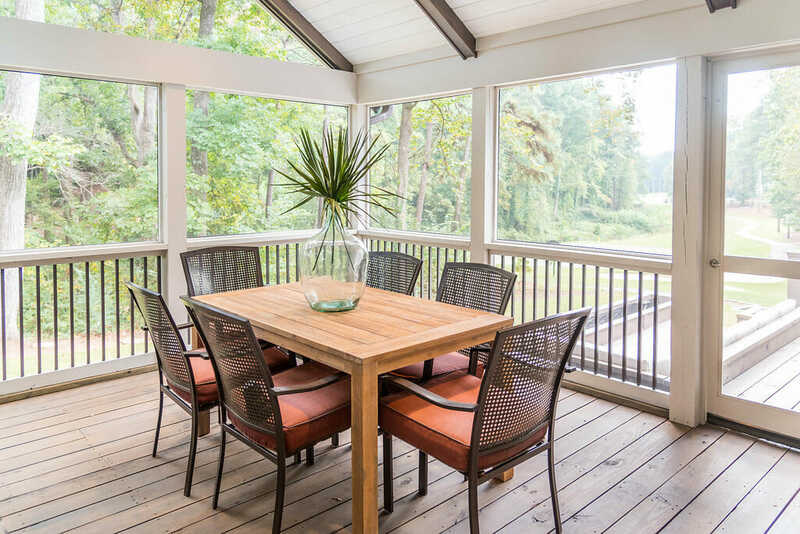 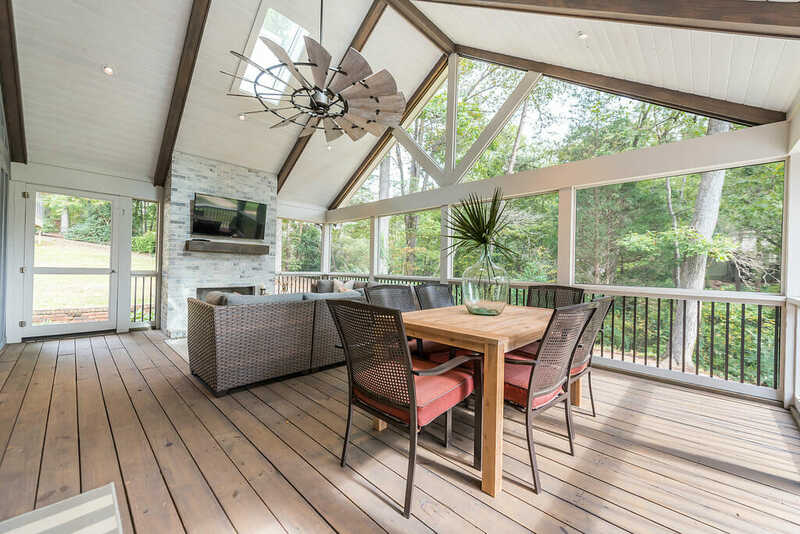 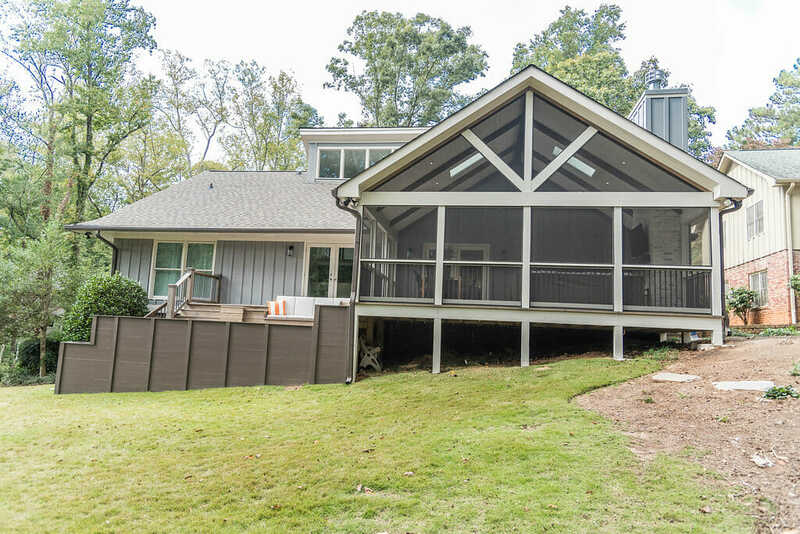 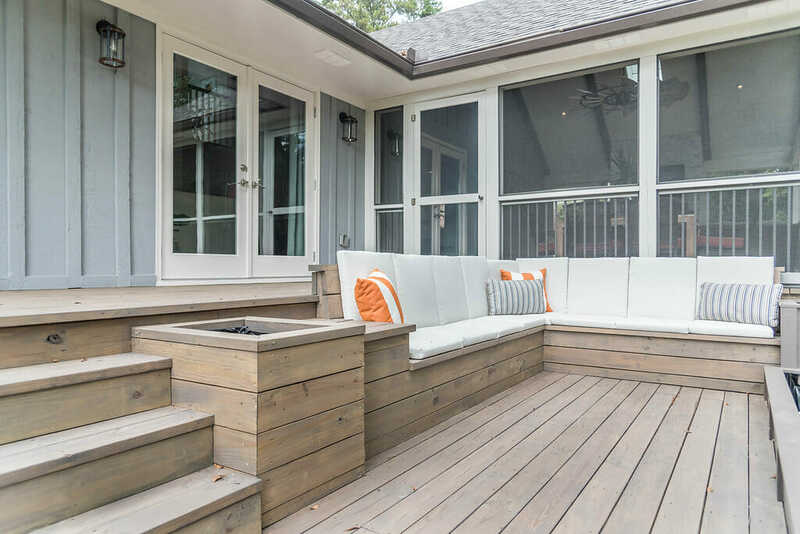 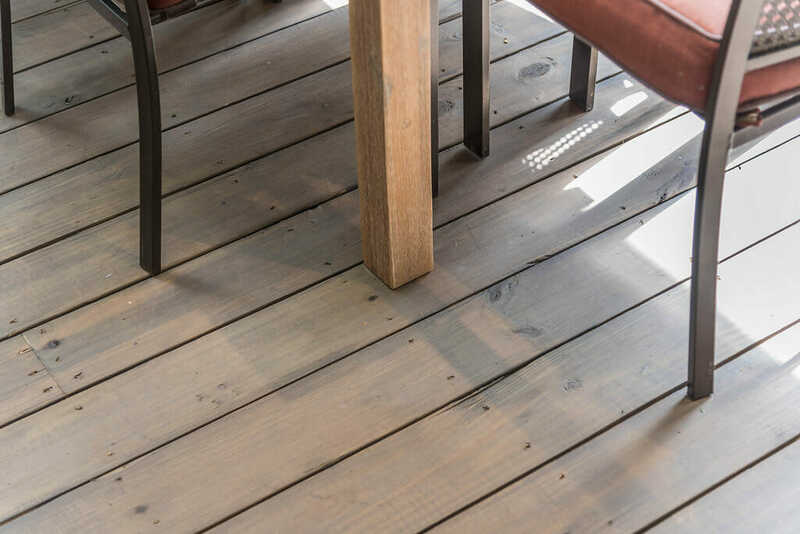 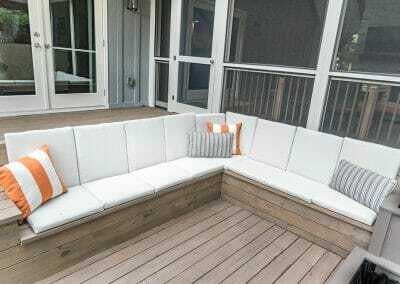 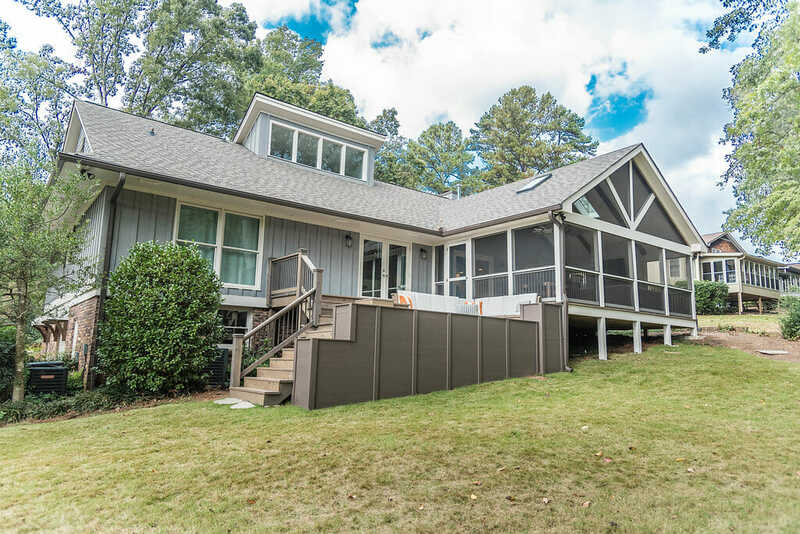 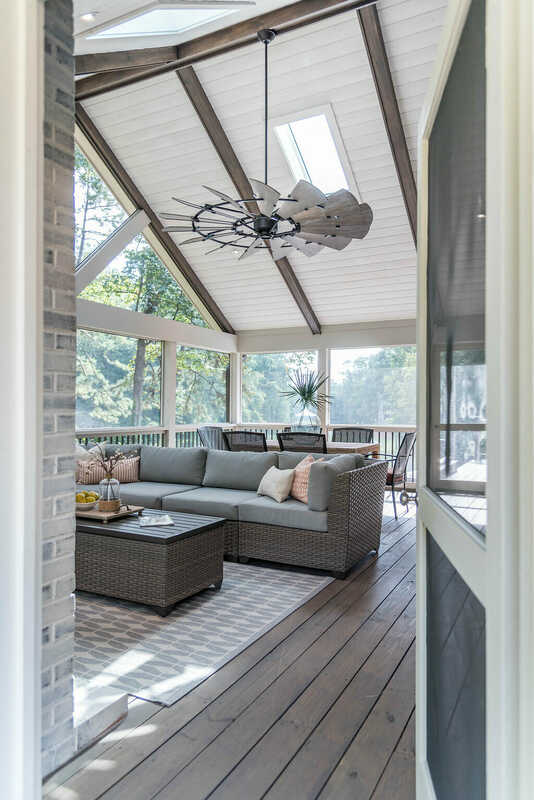 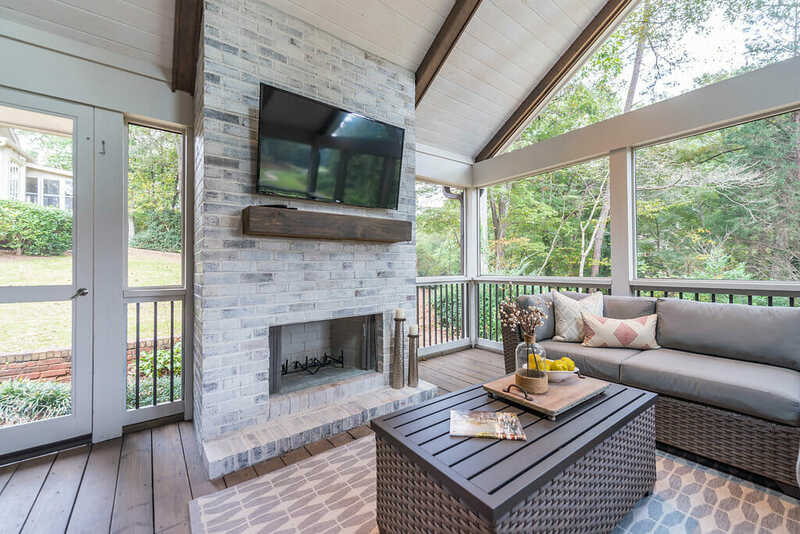 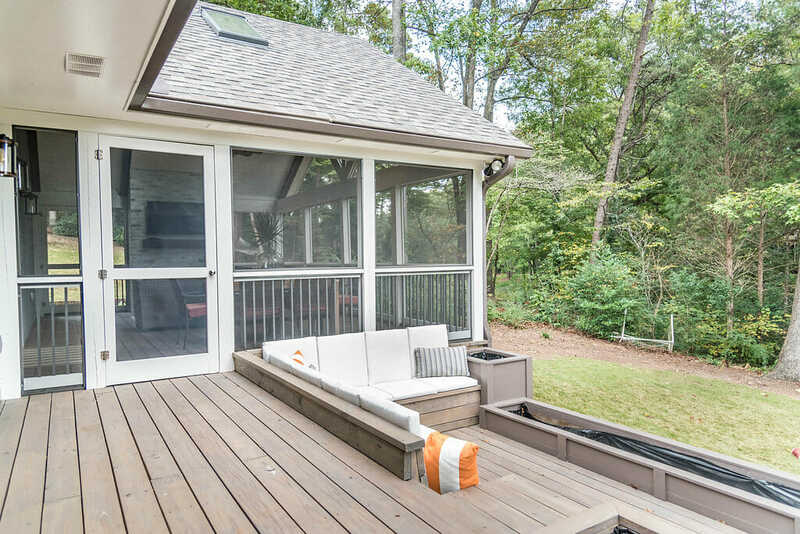 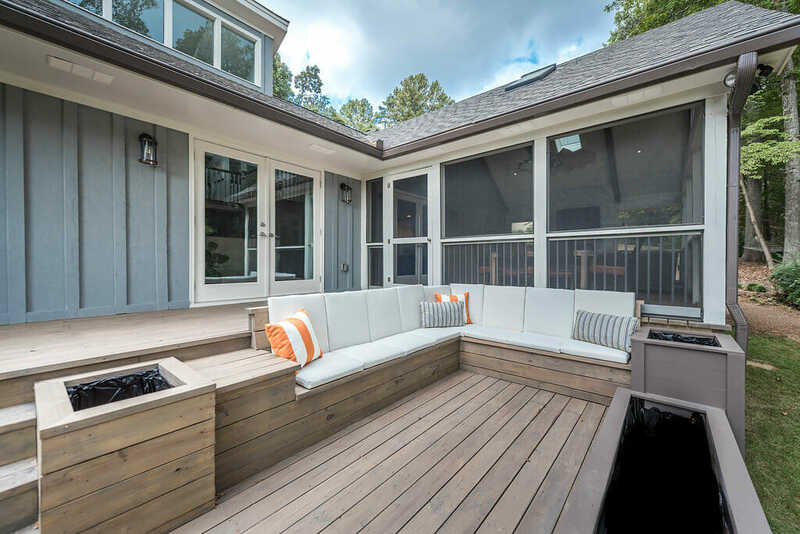 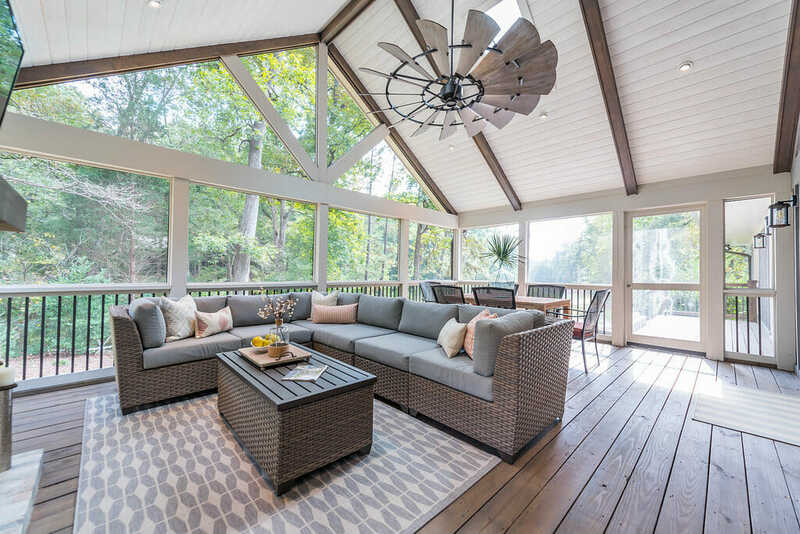 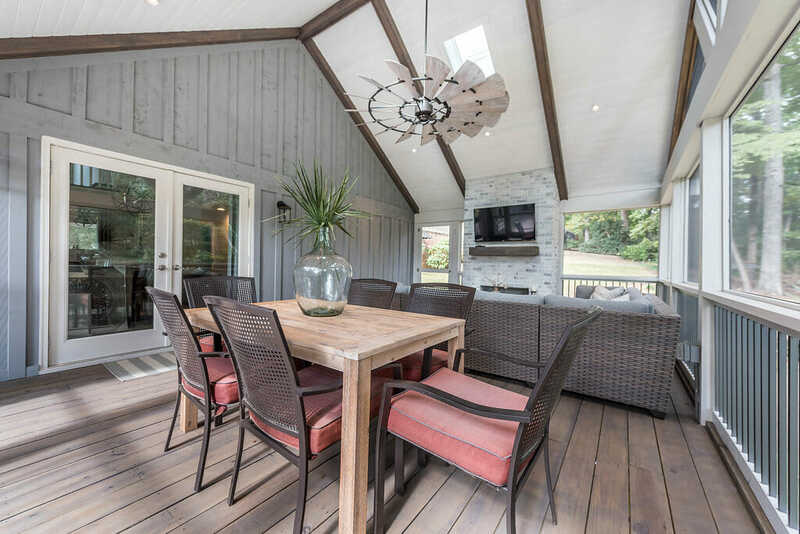 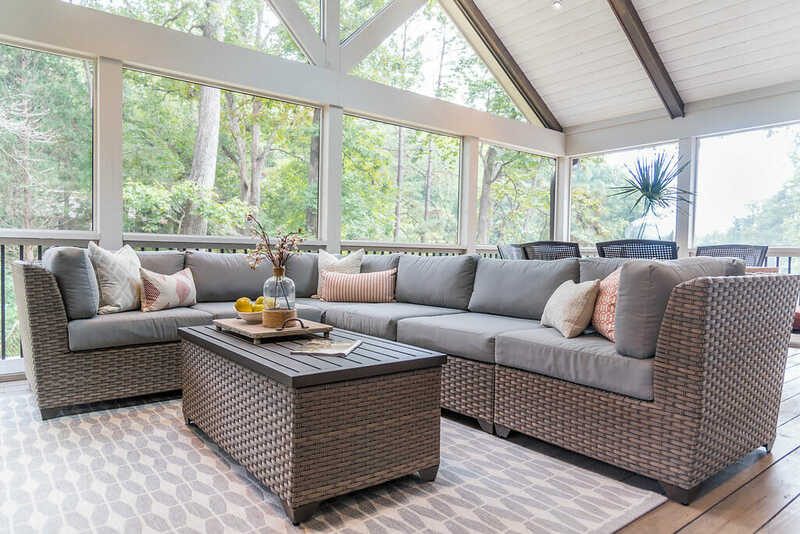 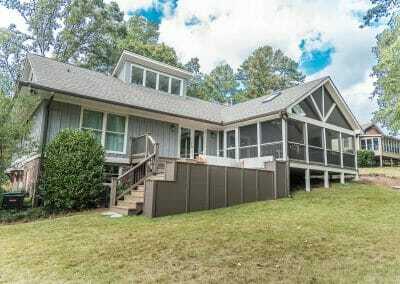 Client Goals: Remove existing back deck and install new screened porch with an attached deck. 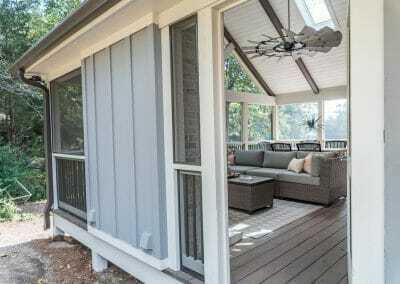 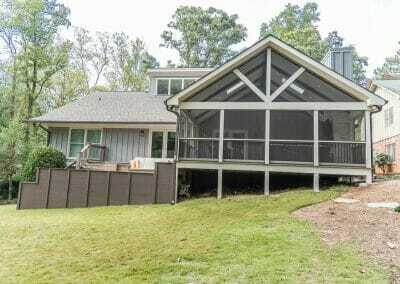 Our Solution: We replaced the back deck with this soaring screened porch, with a new attached deck. 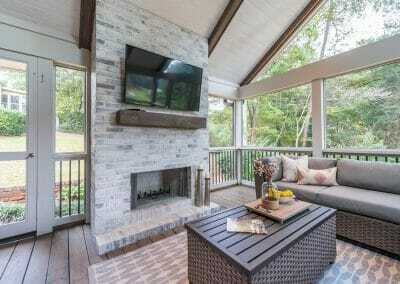 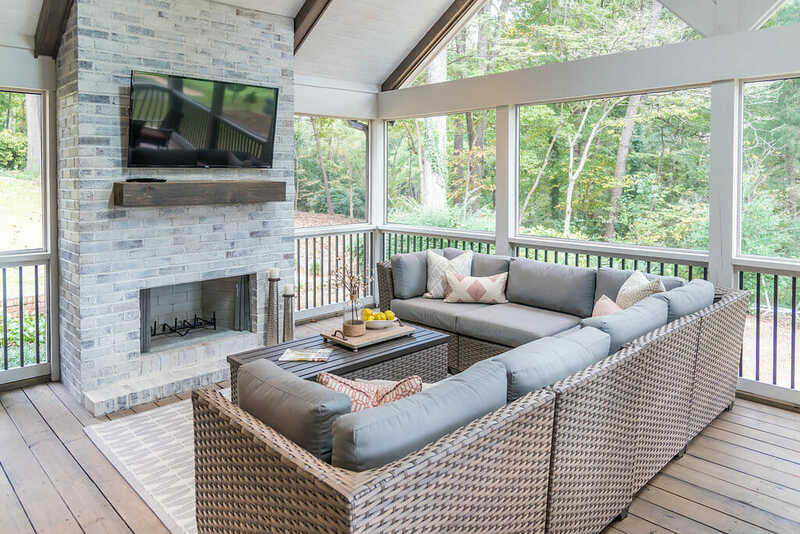 This expansive space provides a comfortable outdoor great room, with zones for dining and hanging out. 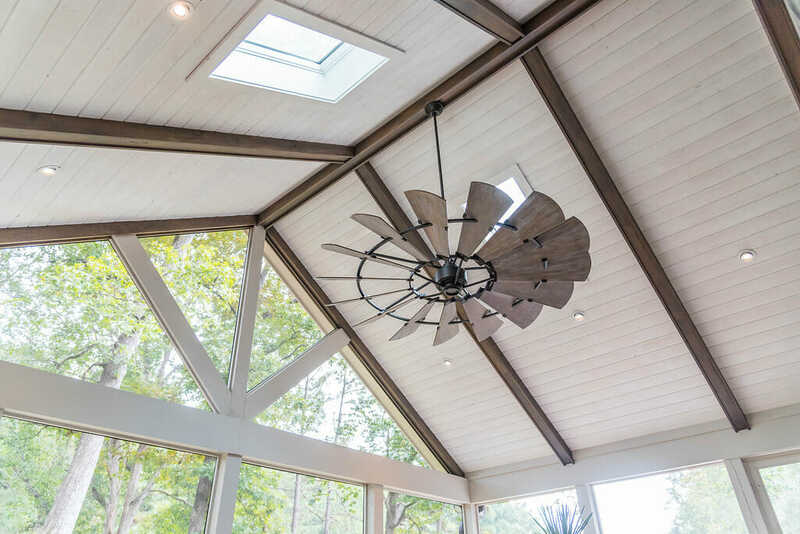 The vaulted ceiling is tongue-and-groove lumber painted white with dark beams. 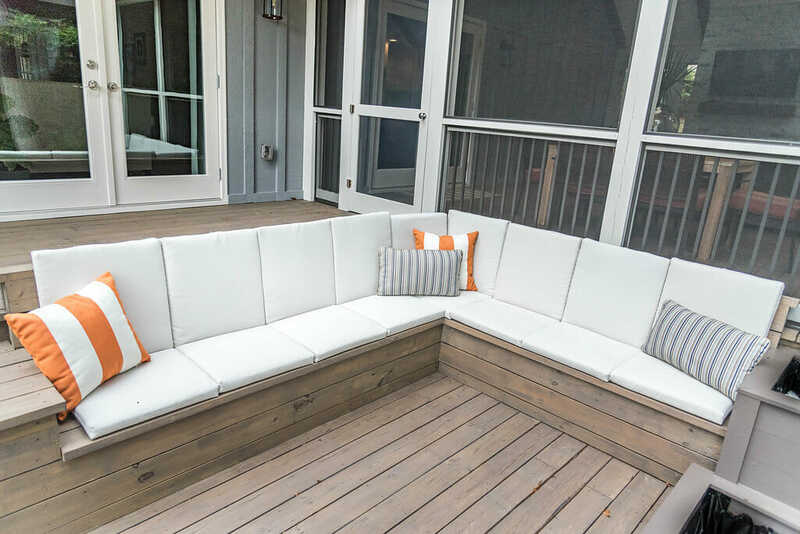 The screens are custom-built fiberglass. 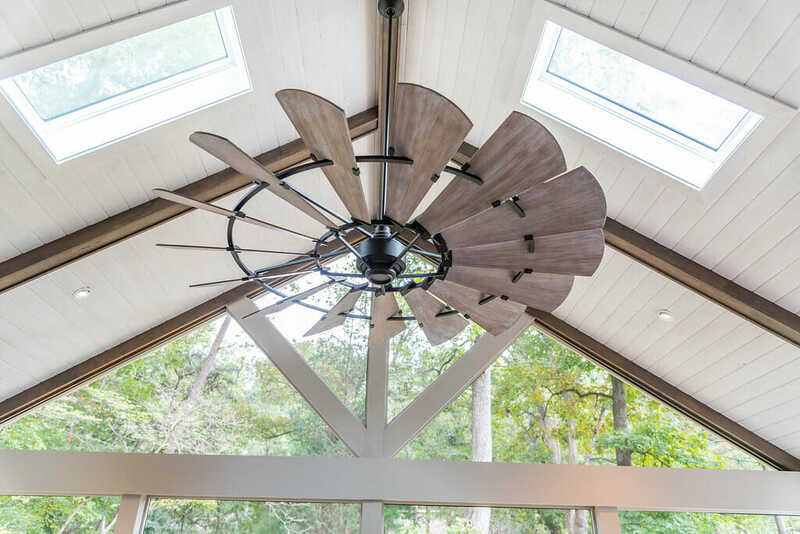 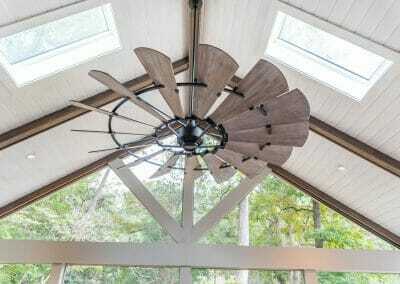 Ceiling fans keep the space cool in the summer and the gas fireplace is perfect for chilly nights. 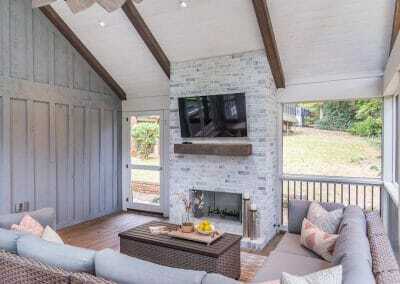 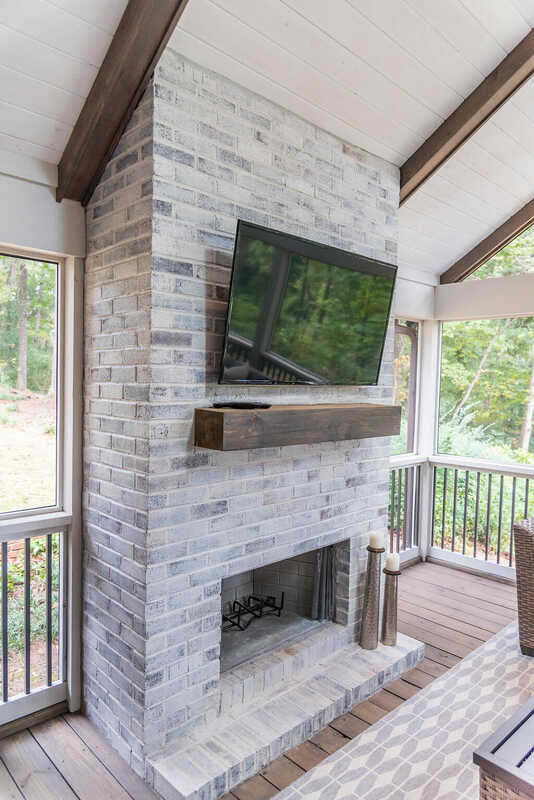 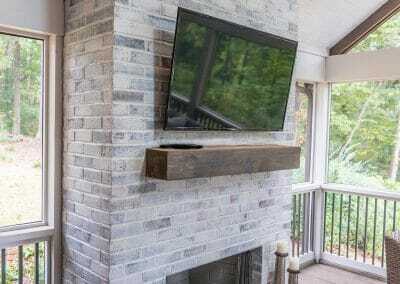 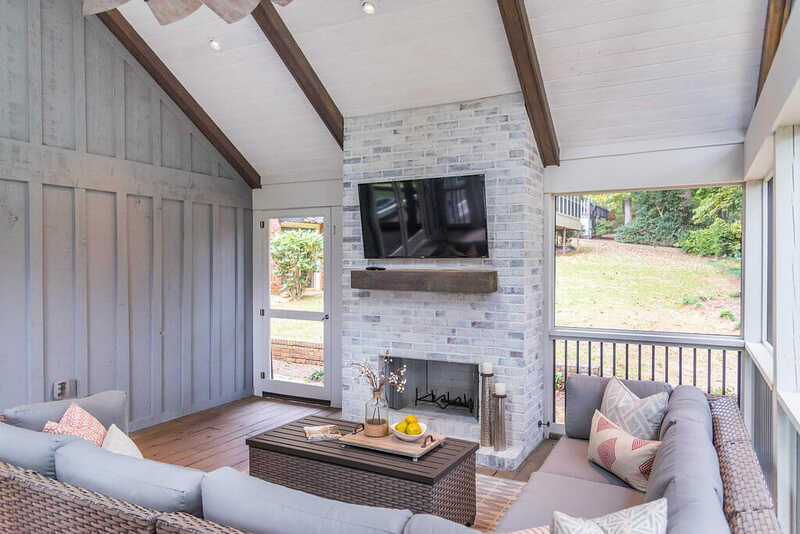 It’s the perfect place to hang out while watching a game, for movie nights with the family, or listening to the crickets and cicadas at night.